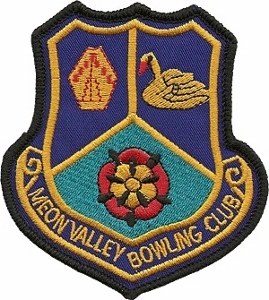 to Meon Valley Bowling Club's website. We hope you enjoy your visit! We are a friendly and enthusiastic bunch of members doing our best to play flat green bowls as well as we can, enjoying each other's company and hosting our opponents. We are in a lovely spot in the small Hampshire town of Bishop's Waltham. Besides Bowls England and Bowls Hampshire we are also affiliated to Southampton & District Bowling Associations (men and women). There's always loads to do - looking after the green and pavilion and organising ourselves into committees and teams, for matches in internal and external leagues and competitions at various levels - but we like playing bowls best. Our pavilion is fortunately large enough to allow us to play indoors in the winter on two long mats. If you are thinking of having a go do have a look at the tab under About us labelled open day, or go direct to membership under the same tab for details. Coaching from qualified coaches is available for beginners, improvers and those that have developed some wonky bits that need fixing. All this is fuelled by willing volunteers fortified by the output from the kitchen and the bar.